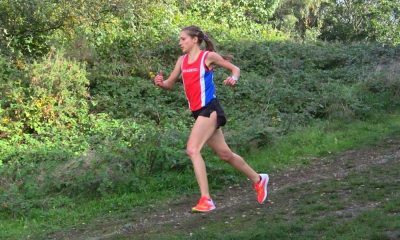 In her first post as part of the ‘fast runners: class of 2018’ Anna Boniface bravely talks about the consequences of ignoring your body and pushing too far at the high point of a running career. Relative Energy Deficiency in Sport (REDs) has been widely discussed of late and Anna hopes to help others avoid the same mistakes. I came away from the London Marathon on an absolute high. Almost a nine minute PB in my second marathon. Finishing first in the mass race. Earning my first England vest. Teaming up with Saucony and signing with Forte Sports Management. All these doors started to fling open. It was exciting. All my aspirations were finally starting to happen. Before I knew it, the summer turned into Autumn and October had arrived. I started to feel fit after a less than smooth build up. However, I was beginning to realise that cracks were starting to appear on the thin ice I was treading. My England debut ended on the kerbside of Toronto. The pain in my ankle could no longer tolerate weight bearing by 16.5k and all was over. 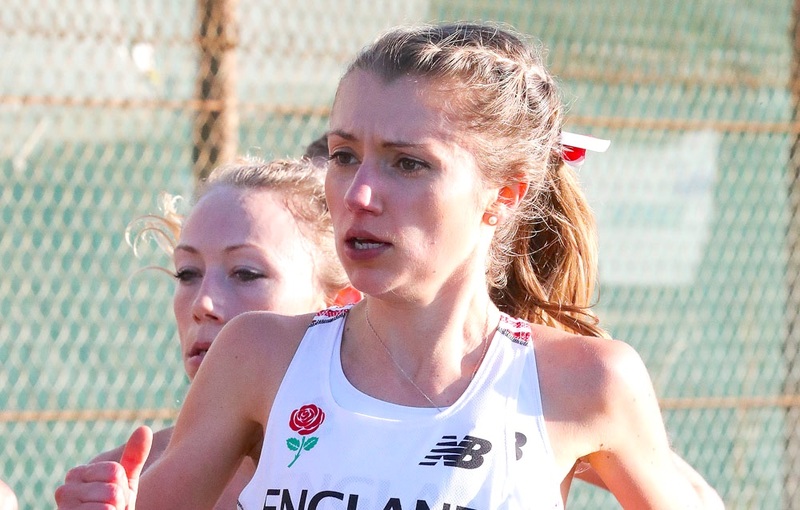 Not finishing my first race in an England vest has certainly been the biggest disappointment of my running career. All though it was a valuable experience, it wasn’t how I envisaged representing my country. It should have been my big break. Instead, it was the race that broke me. A good athlete forgets and moves on from failure. A great athlete is able to reflect and learn from their mistakes. I’ve had a great deal of time to reflect on Toronto. What went well. What’s caused and contributed to the injury resulting in that DNF. As Bobby Clay described when sharing her account, I became “that athlete”. Naively, or maybe even arrogantly, I seemed to think I was the exception to female physiology. I thought I was invincible. All the signs were there, which I brushed under the carpet. The excuse? “I’ve never had a stress fracture”. The classic “It won’t happen to me”. I was able to keep my head above water. In fact, my running was rapidly improving. So I ignored my years of amenorrhoea – “periods are bothersome” was my attitude. My demands and aspirations both at work and running increased. As a high achiever, I wanted the best in both. Looking back, I don’t know how I managed to train for my first marathon. Training alone, stressed at work, and fuelled by diet coke. I was living off the adrenaline of my success. The desire to run fast energised me, whilst running on empty. I got through my first marathon in 2:45 realising my potential. Everything inside me knew how good I could be. I had to be prepared to make some changes to behave like a “proper athlete”. I told myself to run faster, I needed to train harder. To fuel better. 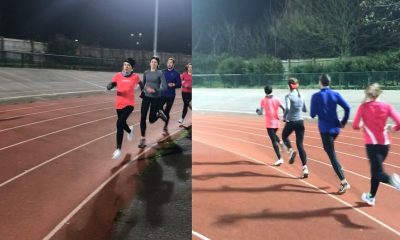 Being in a training group doing marathon specific work, whilst improving how I fuelled, my performance rocketed. With every race, I got fitter and faster. But I wanted more. More miles, more racing, more gym work. I became completely obsessed with weekly mileage. I often ventured off-piste from my training schedule that had been carefully planned by my coach. A few innocent extra miles wouldn’t hurt. It’s easy to hide all the training behind the defence “But I’m running a marathon”. People expect you to be running loads. No one would blink an eye, particularly with the way I was improving. Why would anyone question my accomplishments? I was running the best I ever had resulting in a 2.37 marathon performance. Again, I walked the tightrope unscathed. Following London, I was so hungry for improvement. I wanted to train harder than ever for Toronto. I was impatient and greedy for more, so I set myself high expectations. My desire blindsided my rational judgement and the extra training continued. However, respiratory tract infections, fatigue and iron deficiency plagued my build up. I was showing classic symptoms of Relative Energy Deficiency in Sport (REDs). But I blamed the iron deficiency for my tiredness, reduced performance and irritability. I made the start line. I didn’t make the finish. I see Toronto as a huge step in my running career. Without my Canadian kerbside experience, I would have again “got away with it” and continued to bury my head in the sand. I have to face up to that my fibula stress fracture is because of my low bone density from years of no periods, overtraining and under fuelling. Unfortunately, this all caught up with me as my dreams started to come true, which quickly cascaded into a nightmare. The only person who can take responsibility for that is me. This is clearly a topical issue within our sport and I am yet another victim of REDs or “the female athlete triad”. Since Bobby Clay’s revelation of her osteoporosis, I have been shocked how common these stories are. It’s almost become normalised. This drastically needs to change to stop talented athletes from disappearing out of our incredible sport. I will come back with stronger bones, healthier and with a better mindset on training. It’s longevity in the marathon I strive for. Getting through this injury will teach me the much needed lesson of patience. I now understand that to be truly successful, it takes years of consistency and a gradual rise to the top. I’m in this for the long run (quite literally). I know that when everything falls into place, I will achieve my marathon dreams. I hope to look back in a few years and think “I’m glad that happened in Toronto”. That DNF may have been the failure that saved my running career. I want to share my experience of going through and coming out the other side of RED’s swell as discussing the highs and the lows of coming back from an injury. I hope this will encourage others to make changes before its too late, but also show that you can come back from this as a stronger, healthier runner. Don’t be like me. Don’t be naive. Don’t think it won’t happen to me. Don’t wait for it to be your breakthrough that breaks you. Anna Boniface is part of the ‘fast runners: class of 2018’ and will share her running journey every month throughout 2018. More information can be found here.